The TECHNOVISION Classic 1.5X 40-70mm covers the Full Frame format (36 x 24mm) and is based on a front anamorphic design. 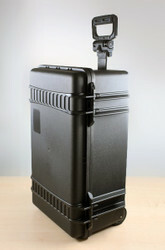 It can be used with full frame sensor cameras and all Super35mm cameras, along with interchangeable mounts. This lens is the perfect choice if you desire the anamorphic look and want to maximize the whole use of the camera sensor. With the 1.5x anamorphic squeeze the lens is adapted to the widely used 16:9 sensor ratio and offers anamorphic qualities, such as barrel distortion, nicely formed flares and shallow depth of field. When shooting with the Arri Alexa Mini in Open Gate, the whole sensor image area is used with this lens. The image circle of this lense at a 70mm focal length will cover the entire Arri 65 full frame image sensor. The image circle of this lens at a 40mm focal length is still an impressive 43.3mm. The TECHNOVISION Classic 1.5X 40-70mm enters the anamorphic lens market at a competitive price while still providing outstanding optical performance. 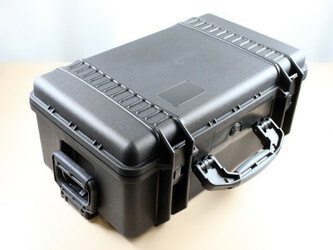 It is the perfect investment for your current and future camera set ups.